At Electric Stage Company, our creative approach to audio visual and special effects is second to none. From initial enquiry to event delivery you can rest assured that our experienced and professional team will exceed your expectations. With many years of audio visual experience we are ideally suited to any type of event including conferences, exhibitions, themed events, private parties, fashion shows and weddings. Visit our Gallery and peruse some of the many events we have been involved in. We will work anywhere in the UK and being based in Coventry, West Midlands we are centrally located to be able to reach most regions with easy access. 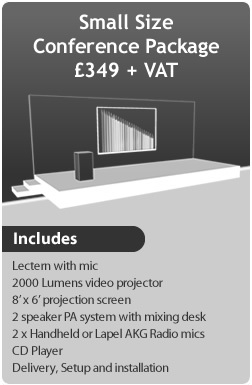 Call 02476 249 037 or click here to fill out an enquiry of your wants and needs for AV Hire Coventry.